ABM NeuroMovement® Graduates are encouraged to take advantage of the continuing education programs available, allowing them to learn new specialty areas like working with Children with Special Needs. 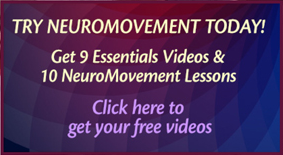 There is a great demand and need for certified practitioners to help these children, and the outcomes from the NeuroMovement® work are often outstanding. *Optional: Maximum one of the 4 levels may be taken online. Note: There are practicums in the first three levels of this continuing education program. If you’re interested in getting complimentary lessons for your child during one of these practicums, please click here to learn more. now she’s running jumping and talking. NeuroMovement® has helped children with autism, cerebral palsy, ADHD, brain damage, developmental delays, Down syndrome, and many other conditions dramatically improve their physical, cognitive, and emotional performance. View the upcoming Mastery Workshop dates here. The sessions are taught by Anat Baniel and Marcy Lindheimer. View ABMI Faculty bios here. **Disclaimer: Anat Baniel Method International retains the right to cancel any of the events listed above, change location, change dates, for any reason. In case of cancellation, trainees will receive a full refund of training days paid for, that have not been taught. Each level is a 9-day In-Person (IP) continuing education (CE) workshop. The workshops are taught by a highly skilled and dedicated teaching staff. The time between each continuing education workshop is approximately 10 weeks. Each participant will complete a minimum of two Practicums under supervision, working with a child with special needs. Group Leaders (ABM Training Staff) are available for questions and support during these CE Mastery Workshops. We have a dedicated and exceptional support staff—our ABM NeuroMovement® Practitioners have completed all 4 CE Mastery Workshops. Trainees need to participate in and attend all 9 days of each IP Workshop (attendance is taken daily). If needed, a trainee can take one IP Workshop online, to be completed during an extended time frame around the time the IP Workshop is scheduled. Upon completion of all 4 levels of the CE Mastery Workshops for Working with Children with Special Needs, practitioners will be certified as specializing in ABM NeuroMovement® – Working with Children with Special Needs. The total training duration is approximately nine months. 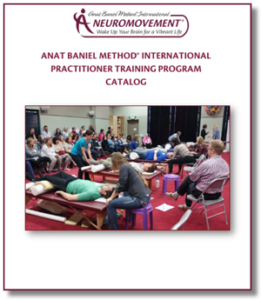 (2) Licensure as an Anat Baniel Method® NeuroMovement® Practitioner. Before enrolling in the CE Mastery Workshop – Level 4, a practitioner is required to have successfully completed Level 1 – Infants and Babies, Level 2 – Toddlers and Young Children, and Level 3 – Young Children (Ages 5 – 12) Mastery Workshops. Help children become brilliant learners!